Offers a guide to understanding money by busting unhelpful myths, providing methods to pay down debts and by helping listeners tailor a plan for their own personal finances based on income, debt, spending, and future plans. 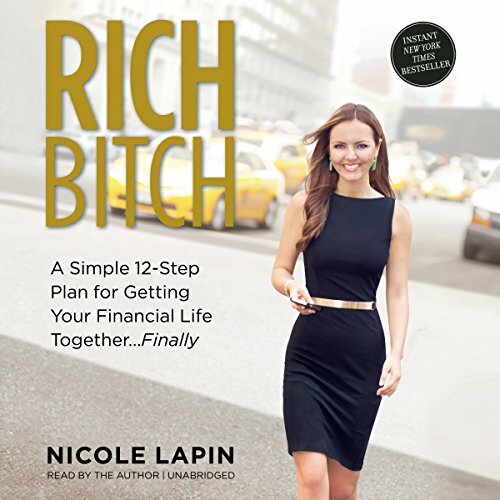 Nicole Lapin started in finance reporting for First Business Network at age eighteen. She went on to become the youngest anchor ever at CNN and then at CNBC, where she anchored Worldwide Exchange while contributing financial reports to MSNBC and Today. Nicole has also served as a business anchor and correspondent for Bloomberg Television and is a money contributor on The Wendy Williams Show. She is a certified financial services professional and an accredited investment fiduciary.